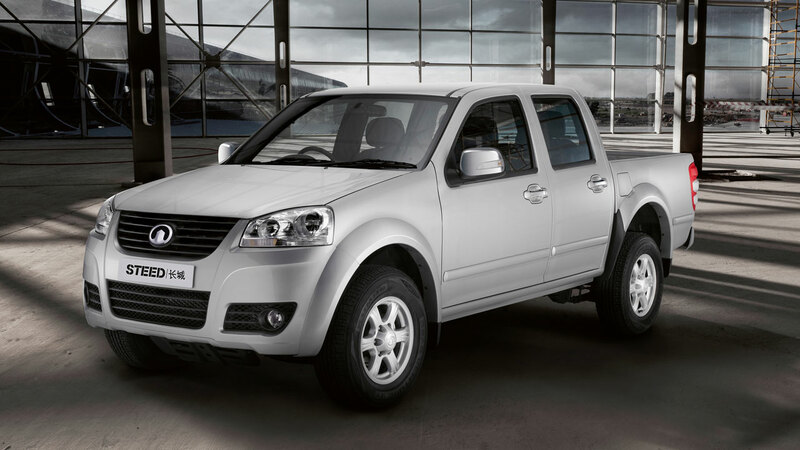 Two years after commencing volume vehicle sales in Britain with its value for money Steed pick-up, Great Wall Motors is launching the latest generation of the 4x4 double-cab onto the UK market, promising improved quality, a higher specification and even better value. As before, the updated Steed blends style and practicality while retaining its position as the best value pick-up on the market. One of China’s most successful car manufacturers and exporters, the company boasts impressive credentials in the production of pick-ups. Great Wall has manufactured the best-selling pick-up in China every year since 1998 while globally the Brand has sold nearly one million vehicles. Prices for the new Great Wall Steed start at just £14,998 (CVOTR) for the generously-equipped Steed S model – the lowest price for any double-cab 4x4 pick-up in the UK – increasing to £16,998 for the top-of-the-range SE. Despite carrying a premium of only £1,000 over the old model, the 2015 Steed is packed with even more practical, standard features. On sale from 1 October, the new Steed will be available through a carefully selected network of fifty dealers, many appointed in 2012 at the launch of the franchise in the UK. The dealers are mainly small, privately owned enterprises, hand-picked by Great Wall’s franchising team to reflect the brand’s values and philosophy and their ability to deliver the promised standards of customer service that will break new ground in the segment. The vehicle retains its chunky looks, amplified by muscular wheel-arches and high ground clearance, but now with a slightly sleeker profile with the side indicators incorporated into the door mirrors instead of the front wing. The Steed is available in Titanium White and three metallic colours (optional at extra cost) – Pearl Black, Sky Silver and Noble Grey. The Tracker special edition will be available in Titanium White and Noble Grey. Inside the new Steed is where some of the more significant improvements are to be found. Higher quality materials, such as that used on the seat facings and a sharper, more contemporary design of instrument cluster, creates a more comfortable and ergonomic feel to the cabin. New technologies have been added to improve convenience and enhance the ownership experience, including a multi-function rear view mirror with automatic dimming and an outside temperature display. A tyre pressure monitoring system is also incorporated which will display the working pressure for each tyre. Carrying capacity compares very well with established pick-up rivals as the cargo bed measures 1,380 mm x 1,460 mm x 480 mm (length, width, depth). The Steed has a maximum payload of 1,050 kg and is now certified in the UK to tow 2.5 tonnes with a ‘braked’ trailer. The increase in towing from 2.0 tonnes followed independent tests at the Millbrook Proving Ground in 2013 where it was put through stringent tests by an independent team of engineers and consultants, subsequently resulting in the Steed being fully validated by the Vehicle and Operator Services Agency (VOSA). The Steed’s capabilities as a durable and versatile load-lugger, both on- and off-road, is impressive. Under the galvanised steel skin lies a separate, rust-proofed ladder-frame chassis, strengthened and braced by reinforced centre cross-members, an impact-resistant rear beam and a reinforced cargo bed. The Steed is fitted with an ‘on-demand’ part-time, four-wheel-drive system that delivers numerous customer benefits. When slippery conditions are encountered on-road – or an all-terrain capability is required off-road – the driver can select all-wheel-drive simply by pressing a button on the dashboard, up to speeds of 12mph. The advanced transmission system, manufactured for Great Wall by BorgWarner, is the dual-range type seen in other serious off-road vehicles. To further aid its usability, the Steed has selectable low-range ratio gears for when serious off-roading is encountered. For 2015, the Steed is also equipped with rear disc brakes replacing the old drum units to increase stopping power and stability. The 2015 Steed uses the same free-spinning 2.0 Litre diesel as the previous model, now certified to comply with Euro 5 emission regulations. The water-cooled 1,996 cc power plant is fitted with a CAC (charge air cooled) intercooler system, state-of-the-art glow plug technology and a variable-geometry turbocharger (VGT). The variable geometry turbocharger features turbine blades that alter their pitch according to engine speed – to provide the Steed with high levels of pulling power throughout the rev range, and maximum torque from as low as 1,800 rpm. With a long-stroke design for optimum torque generation, the Steed engine features an 83.1 mm bore and a 92.0 mm stroke, with a rigid block structure and direct injection fuel system to reduce noise and vibration while on the move. The Steed engine produces maximum power of 139PS at 4,000 rpm with maximum torque of 305Nm spread over a rev range of 1800 to 2,800 rpm. The Steed will come with a host of standard features typically offered only as high-cost options on competitor models, including 16-inch alloy wheels, daytime running lights, remote central locking, a Thatcham-approved Category 1 alarm, electric windows all round, air-conditioning, heated front seats and for the 2015 model, the addition of a double-din Alpine CD/radio with USB/MP3 and Bluetooth connectivity and steering wheel mounted audio controls. An auto dimming rear view mirror is also now standard. To make the Steed ownership proposition even more attractive, Great Wall Motor makes a highly-attractive, six-point promise to all its customers. This comprehensive care package includes a six year / 125,000 mile mechanical warranty, a six-year anti-perforation warranty, three-year paint warranty and three years of roadside recovery and assistance. However, going over and above the industry expectations, it also includes inflation-proof fixed-price monthly service payments, and the policy of only invoicing for work previously agreed with the customer. Further promises ensure customer convenience: test drives at the location of the enquirer’s choice (if they live or work within 20 miles of a Great Wall dealer), and free service pick-up and drop-off for customers up to 20 miles away from the dealer. Keeping ownership costs down yet further, the Steed boasts the lowest insurance ratings (from 7A for the S, and 8A for the SE models) of any vehicle in the pick-up segment. 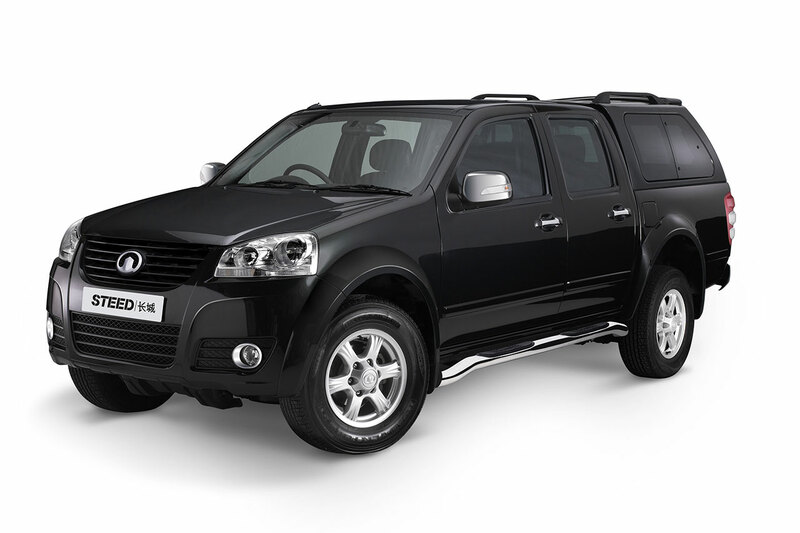 Unlike its predecessor, the latest Steed is built and assembled at Great Wall’s newer manufacturing facility based at the head-office in Baoding City. Utilising the latest vehicle assembly robotics, sourced by Great Wall from around the globe and a new fully automated paint shop, it is anticipated that the Steed will have improved quality levels throughout the vehicle. The plant is capable of designing, developing and building SUV, passenger-car and pick-up model ranges. Great Wall also has its own purpose-built test centres and laboratories to assesses and optimise the performance and capabilities of its vehicles – encompassing safety tests, emissions, and the management of noise, vibration and harshness (NVH) – with all resulting prototype manufacture being conducted in-house.